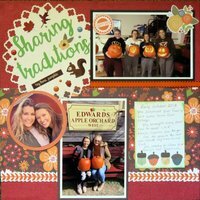 Welcome to New Layouts and Cards for the month of November. We would also love to see any other project you'd like to share. Kimberly- Nice start on your Grateful planner. 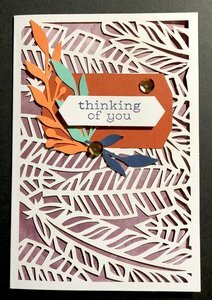 You chose some pretty die cuts. Not sure what I'm doing today. I'm supposed to walk at the park with my neighbor Lynn and her friend Sheri. If it rains I guess we'll have to go to the mall. well it cold here today little cloudy. get all my stuff ready for my retreat pack up and put in my car. I am not leave until 12 pm . it up in the mountains close by us so not that far of a drive for me. I am hope I have fun and my stress will go away. I bring my camera with me and going to try to take lots of pic. I know it going to be cold up there. Hope you all had a nice Halloween... I went thru 9 bags of candy..
Cathe, enjoy your walk... I walk every day around the subdivision... it is about a mile walk... and most is walking uphill.. so good exercise for me..
Danielle, I hope you have lots of fun at your retreat.. looking forward to seeing your pix... and leave all the stress at home...don’t even dwell on it while you’re scrapping away. Denise, thanks for the update on Ashley. I was getting worried! Here is one I did yesterday. The little tag says how generous Char is. (a Rockin' Scrappin Gran) She couldn't go to Florida due to medial reasons. She sent us a big box of stuff to share- thus the funny glasses. 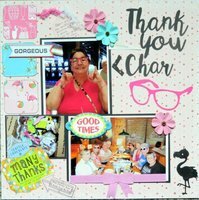 The photo of Char is from 2015 in Las Vegas where she brought funny glasses for us. All the colors are move vibrant in real life. Edited by scrappin 2 on 11-01-18 10:33 AM. Reason for edit: No reason given. I was in meetings all day. I get to scrap tonight!!! Katy - Wow, That is a lot of trick or treaters!! CI..Thanks Danielle & Cathe for hosting. Hi all.... It's NOVEMBER!!!! Yay! Got a few projects in the works, one you already saw and the other is my TWO December Daily Journals. One I'm doing in a 6x8 Echo Park Buffalo Plaid album, the other I'm using a Webster's Pages patent leather traveler's notebook. In the midst of all this I'm going to try to make some Christmas cards. The last few months have just been insane with health issues that have finally been resolved with another stent placed at the beginning of last month. Um...Hi? Sorry for missing all of October. I caught a really nasty cold on the flight home from Disney and it effectively kicked my rear end for the rest of October. It probably didn't help that my job also decided to make my life a nightmare as soon as I got back from vacation. My schedule has not been conductive to getting better. I'm hoping that you guys will forgive me and let me jump back in this month. Ashley - Hope you on the mend now. We have missed you!! Ashley, so glad you are back! We have missed you and have been concerned as well. Just jump right back in and glad you are back with us! Cathe and Cheryl, wonderful layouts and cards. Have a great day and wonderful weekend ladies! Ashley-I'm so sorry to hear that you were sick. When you're feeling up to it, tell us about your Disney trip. Of course we want you back. Kimberly- hope the stent helps you and keeps your health on an even keel. Cheryl- Well that does it, I'm going to have to get the SU pumpkin kits. Have a nice day ladies. Today I'm playing with PS and removing backgrounds from a couple of photos I took of a friend. And date night tonight so no cooking! Ashley: OM stars---that must have been on whopping cold! Did your Mom get sick too? Of course you can just jump in whenever! 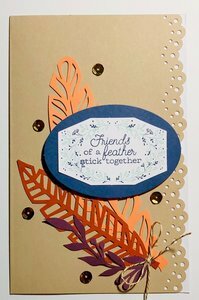 So ladies--even tho Cathe is hosting--she said for me to do the addresses and "sign-up" for the card exchange. Let me know if you are in or out and if your address has changed from last year. Let's say within a couple of days if possible. Then I'll PM everyone. Katy---does Jeannie want in? Thanks! Terry, thanks for getting the addresses together. I'm in and my address has not changed. 9 bags of candy. Wow, Katy that is a lot. Loving the new LOs and cards y'all. Keep em coming. Ashley hope you are better now. Hi everyone. Remember me? I'm baaack. I thought the beginning of a new month would be a good time to jump back in...maybe not with both feet but with one anyway. I didn't go back to the previous months so I don't know how you and your families are ..Hope you all are doing well. Sorry Ashley that you were ill all October. I would love to do the Christmas card thing again. Maybe that will stir up the old mojo. 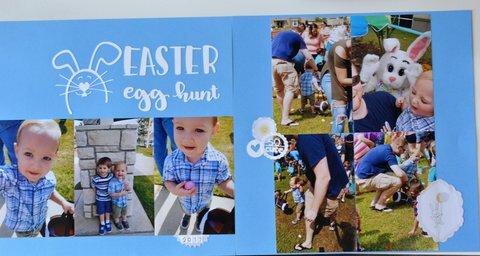 I did a few layouts of Vicki and Mikes little wedding but gave them to her before I thought to take pictures. Papa and Nana or what???? ..her way of announcing SHE IS PREGANANT!!! We are finally gonna be grandparents in April. DD2, Roni had to move back in with us but I do like having her around. She can't afford to live alone and she and her roommate had a line on a couple houses for rent in Reno but they fell through. The housing market here is HOT..everyone is moving out of California. Our house here has gone up in value nearly 200k just in 2 years...can't believe I have been here that long. My yorkie, Scout is still with us...totally blind now and nearly deaf..she hears what she wants to hear. She pees and poos wherever she wants so I am taking her outside every few hours and one of us has to get up in the middle of the night every night. She sleeps a lot. We got NOT ONE trick or treater. not surprising..it is slightly hilly and the houses are far apart and it is DARK. Jon still goes back and forth to the bay area and keeps saying the next academy class is the last one. sure. I am doing ok. I miss my family and old friends. I have made new ones here and even joined a bunko group. We meet every month on the 2nd Tuesday...take turns hosting. I already had the group over...fun and LOUD. After bunko we play a dice game called LRC or Left Right Center. ..FUN...LOUD..especially in a large echoey house with 12 ladies who have had a few toots. I still like it here...Hate the wind though...windy all summer. There was also a lot of smoke from the California fires...we are right up against California. That lasted almost a month. 27 degrees this morning but a nice sunny 52 right now. Katy and I text every day. She comes here more than I go there but we always have a good time. And as usual she scraps way more layouts than me. Anyway that is it for now..don't want to bore you any further. Look out! Here comes Christmas!!!!! Jeannie - CONGRATS on going to be grandparents!!!! I am off to work. Grandparenting is the best Jeannie. Congrats and welcome back. Edited by rockmom on 11-03-18 02:44 PM. Reason for edit: No reason given. Yeayyyyyy ! My sis is back! Hi! Disney was good...better than good really...it was awesome! We got some rain on this trip (like we had to buy ponchos) but it didn't stop us from seeing or doing anything we had to see. By and large, my favorite anything from the trip was Pandora: The Land of Avatar in Disney's Animal Kingdom. Maybe because I've been anticipating that section of Animal Kingdom since I heard about them building it but it was everything I expected and more. It very much felt like you stepped right into the movie "Avatar"...complete with the floating mountains and weird creatures. There are two rides in that area, a slow boat ride called The Na'vi River Journey and Flight of Passage (which is a fight simulator). I LOVED Flight of Passage...my mom chickened out on riding it but my sister rode it with me. I don't think she much liked it but she rode it. Cheryl- I never believed that whole "getting sick after a plane ride" thing but DANG! That's true! I got hit super hard on the flight home...like I could feel my throat getting itchy as we got off the plane. Terry- I'm in for the card exchange...my address hasn't changed! Jeannie- Congrats on becoming grandparents! That's so awesome! Jeannie, welcome back! We've missed you! And congrats on becoming a grandmother! What do you want to be called? You never said in your post. It sounds like things are going well for you and I am really glad you like your new home. It sure doesn't seem like two years already. Ashley, I hope you are feeling better now. Sounds like you had an awesome trip. And that means your sister didn't create a lot of drama right! We are experiencing high winds and snow showers this a m. Joy! Joy! NOT!!!! Hello to all and have a great day! Good morning. I woke up at 6:30 and couldn't go back to sleep. Does that mean I'm gonna wake up at 5:30 tomorrow? Hope not. I'm so happy for you and Jon and of course Vicki and her husband. You will never bore us----silly girl. I was really excited to see your post. It's hard to see ones old home go downhill. I don't see how any single person -or a married couple can rent anything on one income. I loved it when Casey and Sonny lived here when their house was being built. So enjoy Roni while she is with you. I was in my hometown yesterday for a funeral. My cousin Melissa lives here in RKFD and we went down together. We always drive past our childhood homes. Hers looks good. Mine is still ok but with the tree gone in front of the house it looks odd. We did drive past the house our father's grew up in---and I lived in til I was 7. OMGosh it should be demolished. Looks awful and someone lives in it. Terry- I'm definitely "in" for the Christmas card exchange. Address is the same. Ashley- Oh I'm so glad you had a great time at Disney. ..........and your sister went on a ride with you that your mom didn't want to go on. Did you get any new t-shirts? Have you made any wedding plans or are you taking it slow? Anna- seems like rain is in the forecast for us too. UGG. Guess we can't always have sunshine. Cheryl- gets some sleep. Hope you don't have the kids today so you can play with your new Silhouette. Morning! Yep, got that truck back and while the fuel filter cost $49 the computer & labor was $289. Jeezzz….robbery with a smile. Rant over! Anna: Snow??? I guess if you are expecting 40 inches of it this winter it best get started!!!! Ashley: I think I would love the visual effects of the Avatar place at Disney. I was mesmerized by the movie--not the story but the place. I loved the living tree & those pink tentacle things. Hope your cold is getting better! Cathe: I hate daylight savings! Why can't we all be like Arizona? I went & saw our old home too when I was visiting my sister 2 mo ago. They did a nice job cleaning up the old bushes etc. Sad tho to know its now someone else's house! Cheryl: you did get the new Silhouette? Jeannie: Yea you are back ---even with one foot! And such fantastic news about the expected new little one! Get out those G45 papers!!! Sorry to hear about Scout----my Abby is going thru the same thing right now. Both sad & frustrating. Ok all I'll look at the list and be sure what we have. Kimberly are wanting to play? Terry - Yes I got the TEAL Silhouette Cameo 3. It is sitting in my scrap room waiting for me to get time to play. Boy oh boy it sure is windy out there today. Ahh that's November in the Midwest. Terry- Everyone HATES changing times. Why do we do it??? I know it either had to do with WWII or the farmers working in the fields and having more daylight in the morning. I'll have to google it. I hope to scrap the day away.............always my plan on a Sunday morning, but then things usually interfere. Ashley- hope you are much better and feel like chatting real soon. Have a good day. I'll bbl to check up on all of you! Edited by scrappin 2 on 11-04-18 05:18 AM. Reason for edit: No reason given. Well, it's morning and I forced myself to stay in bed and not get up at 5am. Cathe, as I recall daylight savings came about the last time in WWII to was used to "save energy" and exactly how that happens I haven't a clue. But I did read that DST was put into effect several times before WWII. I just wish they would stop it. Pick a time and stay there. My plans today are to finish up the second photo I have to change for a friend, watch some football, & change the screws in my kitchen knobs. Here's the first photo I did---you don't have to comment. This goes to show you don't believe all the photos you see. The bg in the revised photo is a shot off the internet of a fall field in MN---we were in Roseburg OR!!!! WOW Terry, that is impressive work. I need to know how to do that!!! Edited by rockmom on 11-04-18 09:19 AM. Reason for edit: No reason given. Edited by rockmom on 11-04-18 09:22 AM. Reason for edit: No reason given. Edited by rockmom on 11-04-18 09:24 AM. Reason for edit: No reason given. Edited by rockmom on 11-04-18 09:26 AM. Reason for edit: No reason given. Sorry for the cruddy photos. My paper tower storage thing broke and my paper is stacked on the floor where I normally stand to get these photos. So I had to lean over, twist around, lets just say it wasn't easy. LOL I've had this horrid cold and I'm a little weak so holding the camera and lens above my head all twisted up was not a good idea. Its been raining so I have waited to get photos so there are several days of work here. I spent most of Thursday scrapping and then spent Friday and Saturday staying in bed away from everyone trying to keep mom and the babies well. Anyway, Terry, those photos how did you do that? Do tell, inquiring minds want to know! I need an editing course and learn how to use a good editing program. Time is marching onward and its already November. We have two Nov birthdays (my twins), two dr appointments for mom, Thanksgiving, trying to get cards made but I have an idea now so that will be easier, Christmas shopping, holiday decorating, school to teach, house to clean, laundry to do, three projects to do (paint a rocking chair, make over a tv cabinet into a girls dress-up closet, a table to redo, and my shelving for paper storage - guess that is three), and scrapping and my photography hobbies as well as mineral collectors show next weekend. I feel the pressure already! How about you? Laid back November or push to get it done November? 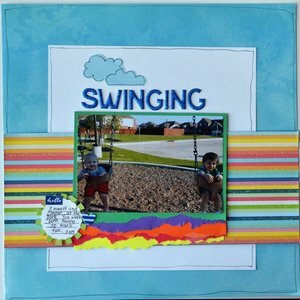 I've enjoyed the Rockin' Scrappin' Grans Layouts from Cheryl and Cathe, that is so much fun! I got on a large cut file kick, I guess you saw that with all the LOs I loaded. 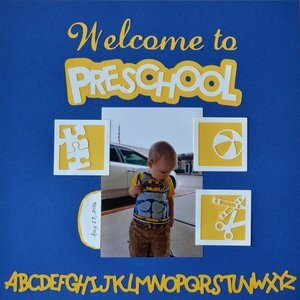 I watched some YouTube videos on how to do the print and cut files from the silhouette store and hope to try it soon. Thanks for the welcome back, everyone. Felt good. I would love to see the Avatar land. Loved that movie. Can't believe the next one is taking so long. Glad you had a great time at Disney. I've missed 2 years of Disneyland now...hope to go back next year..I am dying to see how they transformed Tower of Terror there into Guardians of the Galaxy. I guess I have missed a lot. what else has been happening around here whilst I was off being weird for a few months? Cheryl I saw some silhouettes at the craft store! Good for you! Right in time for Christmas cards! Terry So sorry about Abby..it IS frustrating...watching them go downhill. When we call Scout and if she hears us she looks and walks in the opposite direction from where we are standing. And she bumps into stuff all the time, Sometimes she just stands in front of the wall facing the wall but she can't see it so she prolly doesn't know. It worried me at first because our brittany had gotten stuck in corners but he had a brain tumor and fortunately Scout does not. And I still have lots of G45 baby papers left and Katy gave me some baby boy stuff. I'm set! Cathe I always think scrapping is going to be a wonderful thing to do until I get upstairs and then I get distracted. Jon got me a tv and a lovely hutch for underneath...good idea? to watch tv while scrapping??? the jury is out on that one. Vicki is due April 19. And I do enjoy Roni being here. We go to the movies on her days off and we have been binge watching the British baking show challenge (forgot the name) on netflix. I don't usually watch cooking shows but this one is fun. Anna not sure what I will be called but it may be Meemee cuz that is Vicki's nickname for me. Not sure about Jon either ..prolly Papa. Snow and winds. It is windy here a lot! it gets cold enough to snow but we don't get that much. But the mountains usually have some by now..Usually I can see snow already on the ski slopes by now. Denise I must have been typing this tome while you were posting your layouts and post. I hope you feel well soon. And sad to hear about how you had to twist and turn to take the photos. I feel we should thank you for going to all that trouble to share them with us. Great job! And you have so much to do!!! I'd come help if you weren't so far away. Speaking of stress my hair is falling out!!! a lot! On that happy note I shall close. 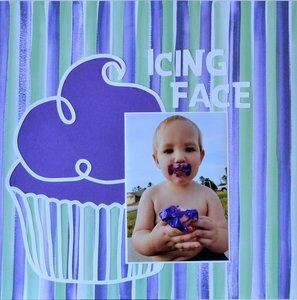 Edited by dollscrap on 11-04-18 11:10 AM. Reason for edit: No reason given. Good evening!! I am up going to fix supper and go to work again. I can chat more tomorrow. Hi! Went to see "The Nutcracker and the Four Realms" last night. I tried (really I did) to be objective about the movie but it's hard to do when you've seen the ballet so many times on TV and know the story already. The best I can tell you, without getting into a huge ballet related rant, is that movie has AMAZING visuals and beautiful costumes but plays very fast and loose with the actually story of "The Nutcracker." If you're going in expecting to see anything that remotely resembles the ETA Hoffman story, you're going to leave disappointed. The little ballet there was in the movie and over the credits, I'm not going to give my opinion on. I don't like the ballerina they picked (Misty Copeland)...I think she's grossly overrated in the world of ballet so I wasn't as impressed by her performance as some were. Anna- My sister actually behaved herself for the most part. She was only super moody and grouchy on our last day. It almost seemed like she was getting her attitude ready to come back to NYC. Cathe- I got a bunch of new t-shirts and Disney pins and a TON of stuff from Avatar Land (I even got a doll that was modeled on what I would look like as a Na'vi). No...haven't made any wedding plans yet. I've decided to not even think of planning until the new year. The holidays are hard enough to deal with. Terry- The time change is evil and I spent all of today confused as all fishsticks about what time it is. I'm hoping they fixed the clocks on the analyzers at work because she automatic shutdowns will be off schedule (the time in our analyzers has to be set by hand...you'd think that would happen automatically like a cell phone but NOPE). Denise- November is always a fun month for me. I do the National Novel Writing Month challenge...50,000 words in 30 days. I also have to work on Disney albums online to give my mom for Christmas along with plotting what things my elf and his new friend will do this year. Jeannie- Oh yeah...I got engaged in September LOL! I'm still trying to process that happening myself. It was probably the last chance to walk outside. Denise- sorry you aren't feeling well and overwhelmed. Somehow all the important stuff will get done. What we won't do to get a picture of our LOs and cards!! Ashley- Glad to hear that you had a great time at Disney. That's really cool that you have a doll that looks like what you'd look like as a Na'vi. I've never seen the movie. Your hair is really falling out? Oh dear!! Morning...Did all my chores yesterday & went with hubby to Cabela's to scope out gun safes. He was drooling! We'll go pick one up early in Dec then have to figure out how to get 565 lbs up 2 steps and into his office. Andrea: I haven't heard from you re the card swap so I did put your name on it. If you opt out that's no problem. Ashley: They are making a sequel to Avatar? I have no real desire to see the new Nutcracker movie although I'd love to see the play/ballet. What I'm waiting for is Nov 16th when Crimes of Grindenwalk comes out. I loved the first Fantastic Beasts movie and of course all the Harry Potter ones. Cathe: I'm with you---I'm postponing some errands until tomorrow so I only have to be out once. I'm in my "maids day off" mode---meaning, hair in pontail, no makeup, etc. Cheryl: you posted that you had a rough shift 2 nights ago. Too many patients or to much to do? Danielle: how was your retreat? Denise: ahhh....I was working in Photoshop Elements 2018 in the "expert" mode ( not that I am but I won't learn this if I let the software do it for me). Anyway, I watched a video on Refined Edge and that's what I used. Take the cursor and guide it over the outline of what you want, save that to another file, then delete the rest. Everything outside the refined edge will disappear when deleted. Then you just have to tweek little areas if necessary. I also had to use the polygonal lasso to get some stubborn areas to delete. When done add a new layer with the new background photo, adjust things (move) as you want and you can now save it. My oldest son is a genius in Photoshop and he told me to try the mask option instead of refined edge, which is what I'm reading up on now. Jeannie: I know that staring at walls thing. Plus Abby starts shaking and I don't know why. Its awful watching what was a playful sweet little dog suffer like this. Anyway, llucky you to have a baby to look forward to holding, etc. How far away is Vicky? SF? Holy cow that is a lot of stuff to move! Why is the floor creaking---anybody know yet? Good afternoon!!! I am up and finally going to be able to get my new toy set up. I am probably going to watch some YouTube videos about the features on this one. I also think I am going to upgrade to Designer Edition from Basic Edition. Terry - On the rough night, we did not have enough help even though I did call someone in to help us. On top of that one patient died (EXPECTED), and then right as the shift is almost over another patient passed out and a nurse caught her before she hit the floor and we had to call a Rapid Response Team to her room. We ended up moving her to the unit so none of us left before 8:00 a.m. and that was the night of the time change so we had already been there an extra hour!! It was exhausting. I am back home now. had to go to the grocery store this morning and clean the bathrooms. now doing laundry . well thursday I got up to the place we where have the retreat at I left here around 11 :00 am and got up there and got all my stuff out of my car into my room I was stay in. I got the room to my slef. so then I went back down stars and got all my scrapbook stuff on the table where I was sit at and got my cahir out. so she had the christasm kits out for everyone. there where a few people there and get stuff set up. so I chalk everything that was in the kit. then we had pizza for dinner. Friday woke up and had breakfast and then we start working on the book make the cover of there book. it was little hard make the cover of the book but I did it. then I went outside and walk around the grounds they have a lot of animals at this place. they still had there haunted house going on until Saturday and that was the last day. so I walk around with the scrapbook lady sister that came out here from cailforna she is really nice lady. we talk about stuff and walk around. then I work more on the book the inside. 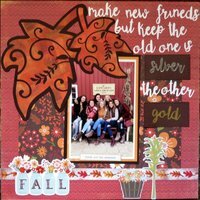 Saturday we did some more scrapbook and I got to learn how to kint which I am not great I start on it but I don't know. we been watch movies mama me 2 and the book club which both where good. I went in the spa Saturday night which was nice and hear people scream from the haunted house. the weather was cold but no snow. Sunday we pack up and it was really windy there. I didn't get home until 2 pm. but I had fun got to meet some new people. I have pic there some on my Facebook. Hi! Today I was working in the windowless lab...I'm usually not thrilled about that but, at least, I was able to bring my tablet and work on my National Novel Writing Month project. I padded my word count up a bit just in case I miss a day (though I'm trying not to this year). Tomorrow I'm off from work and I promised my mom I'd dig my room out. We've been dogsitting for my sister (she came back from Disney...was home less than a week and then went away for two week with her husband and his parents) and he wouldn't let me touch anything in my room. Cathe- I was shocked when I got out at 5PM today that is was already fully dark out. It was unpleasant LOL! Terry- I believe they're making FOUR more movies in the "Avatar franchise"...I'll see them because I'm curious. A bunch of my older Scouts want to go see "Fantastic Beasts: the Crimes of Grindlewald" after Girl Scouts the Friday it opens. It's an insane idea so, of course, we're going to do it LOL! I want to see it too...I have to start getting my outfit together for it. Cheryl- That sounds like a crazy busy night! You guys work just as hard as us in the lab and get about as much recognition as we do...it's all about those doctors and not the "support staff" as we're called. I stayed home yesterday. I made myself do some things I didn't want to do. I had some flower pots (those plastic ones) sitting outside that I needed to dump, wash out and put in the recycle bin. I had two to wash out and keep. We have a wooden magazine rack here in the computer room. I took everything off, dusted (yes dusted) and through out magazines. Danielle- sounds like you had a nice time at the retreat. I'd like to learn to knit, but I'm not that motivated to do anything about it. Cheryl- oh that was a long night!! When Sonny was on duty and his night was on the night of the time change, he'd complain about that extra hour. I always thought that that hour should have been split between the outgoing and incoming crew. Your LO is darling. I really like the design since I use a lot of two pictures on a LO. It's in my favs. Ashley- It's nice you are writing again. I'd put that dog in a cage if he wouldn't let me touch anything in my own room. I saw the trailer for Crimes of Grindlewald. I don't know if I'd like it or not. I did like Fantastic Beasts. I like voting on election day proper, so I need to do that. Our choice for governor is nil and none. Karyol has two doctor appointments today. I am sitting here wit my coffee and IPad at the imaging center. This is for mapping the veins in his arm to help the surgeon know where to place his fistula. We see the surgeon at 10:00. My new toy is hooked up and I cut that title for my layout with it last night. Denise - I love that auto blade and the touch screen and storage spaces are nice. Rainy and cold here. Won't go vote until after work today but I WILL vote. I have quite a bit of errands to run this morning and Steve didn't go into work as he says he's got vertigo really bad and a very queasy tummy. Trying to find a card I'd like to do for my xmas ones. HSN has paper crafting shows and I'm trying really hard to be good! Welcome back Danielle and really glad you had a great time at the retreat. That does sound like quite a harrowing night Cheryl. What kind of imaging do they find the veins with? MRI? Photoshop is daunting to me Cathe and I've sworn for years to learn it since Microsoft quit making Digital Image. PS has its own terms like layers and masking. So I've decided I'll do one thing only at a time and that seems to be the way for me. Did all of that make sense to you Denise? Best go jump into the shower and get this day started! Cheryl, long night. I know its hard to lose patients, expected or not. Glad you got some extra help in. Hope it all goes as expected with your hubby's vein imaging and dr appt. Cathe, yeh, things you don't want to do. I get that! Get out and vote, its your duty. lol yep make your voice heard! Anna, you too, make them hear you with your vote. Women worked hard to earn us the equal right to vote. Terry, no, not all of it but got the genral gist of it. Photoshop throws me off too. I need a class. lol I'm a visual learner. I lve up to the Missouri state motto: the "Show Me" State. Ashley, get to writing girl! No time to waste. Danielle, sounds like a fun time. I think I'd want a room to myself also. Sleep is sometimes so hard for me. Terry - They use an ultrasound for the vein mapping. Unfortunately his veins are too bad to do a fistula which uses your own tissue. He will have to have an artificial graft put in. Surgery is November 16. We have to be there at 6:00 a.m. I have used Photoshop before but prefer paper. I did something I haven’t done in ages.... used my Cricut... I have been doing some layouts of my DD’s road trip. And used it for a title on one of the pages... it took me awhile since I haven’t used it and I had to re-learn how to use it.. plus I couldn’t remember where I placed all my cartridges! Anna, we’re still in sunny and warm... I would love some rain! 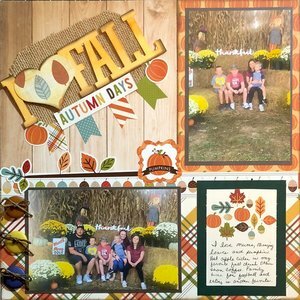 Cheryl, I love you fall layout! So, how do you like your new toy? Sorry you had a rough night at work. Denise, it sounds like you have a very busy November,, hope you get everything done! 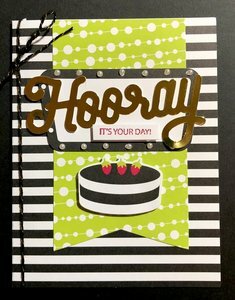 Terry, thanks for the heads up on HSN... watched but didn’t buy anything,.. years ago, QVC used to sell scrapbook stuff.. and inside to buy a lot of their products..
Hi! Was off from work today (have to work the weekend) and it was nasty and rainy but that's alright. I spent the day getting my room in order. I still had boxes and things from Disney that I hadn't put away yet because of my sister's dog. Now almost everything is in a place...I just need to find a home for a bucket of those three eyed aliens from "Toy Story" that I bought in Toy Story Land but I had to get to dancing and then get to writing when I got back LOL! Cathe- We're not allowed to cage my sister's cockapoo because he's "nervous"...he gets to run around and be awful while my poor beagle gets locked up. Anna- It was horrible and rainy here too but I'm NOT going to complain. Rain is better than snow! Katy- My sister's dog is afraid of boxes (among other things) so every time I went to clean out boxes in my room, he snapped at me. I had to leave all the boxes until he went home. I've never seen our polling place so busy for an election. We had a hotly contested race for Governor. But the lines were nothing like they showed on tv. I don't know if it was in NY or AZ or ? but there was a 3 hr wait to vote. Ashley- that is one crazy dog. I wonder what those 3-eyed alien your Elf on the Shelves will get into this Christmas. (Oh I forgot his name darn, I know it begins Thr..........) I'll go into your gallery and look it up. Katy- is your Cricut the original 6" or a larger one? I think I know what I'm making for Christmas cards, but not positive. I'm in the midst of making LOs for the great-great nieces' kids. I'm using last years Christmas photos on them because it's not much fun making photoless Layouts. I texted our 3 great nieces to see if they truly want them. Ashley texted right back. She's the wife of our great nephew. She always gets back to me right away. The other two----I get a little irked with. (Rum's brother is 15 years older so his grandkids-our great nieces and nephews seem like they should be the nieces and nephews and not so far down the linage line) Was all that confusing??? I'll check in later to see who all is up and about. Well I try to put pic of the book we made. I got a lot of goodies at the retreat that everyone brought a rank stuff. We play a game with socks where everyone brings socks and do a game with it and you get a different socks which was fun. Well it been cold here. Good morning!!! The grandkids were so much fun last night. I need to take a picture of Zoey using her scissors. She calls them squeezers. I really need to do a layout and journal about that. Last night, she colored the construction paper first and then cut out pieces. I need to figure out some craft projects for her to do for Christmas. Laundry, post office and a nap need to happen today since I work again tonight. Danielle - Sounds like a fun game at your retreat. Ashley - Are you and your future husband looking for a house or does he already have a place? Katy - Good for you on using your Cricut. I haven’t really gotten a chance to play much with my new toy. I have always had 5he basic edition of the software and upgraded to designer edition. I need to learn what new things I can do with it. Denise - Do you have the designer edition software or basic? Cathe - Do you have the designer edition software or basic? I am going to make shirts for Zoey and Zeke to wear at Thanksgiving with the vinyl on them. Good morning! Rough night here...I had stomach issues & couldn't sleep. About 1:30AM I went in to try sleeping again and when I glanced out the window all the lights in the trailer were on. I totally freaked out & woke up Steve (he'd already been up twice). He freaked, got dressed to go out & check. He turned off the lights and back to bed. I swear I do not know how those lights went on. Cheryl: what about cutting out some christmas shapes and letting her glue them to tags for xmas presents. Or stickers maybe. Really cute how she pronounces scissors! Sorry that Karyol has to go thru all that. Ashley: there's a medicine that vets give dogs with anxiety called Trazadole. Maybe that should be looked into!!! Been watching YouTube with Jennifer McGuire and also on Photoshop. One good thing about today is all the election annoying ads are over! Yes, I voted. And I am so glad that this election stuff is over and no more ads on TV. Now if only the news will stop talking about who won and who lost! Cheryl, hope all goes well for Karol. When do you start your new job? 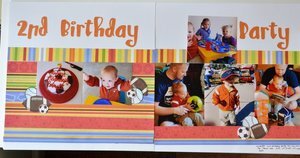 I made five 8x8 los and three 12x12 Halloween Los. Danielle the sock game sounds so cute. Can you tell me how the game is played? 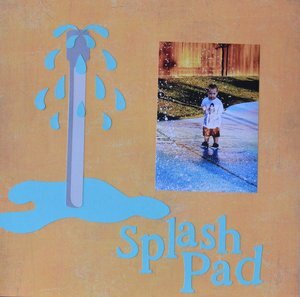 It sounds like something great for a family gift exchange that would be inexpensive. Cheryl- Oh how cute that Zoey wants to do projects. Terry- that sure is creepy with the lights in the camper being on. Hope he took his gun with him when he went out to check on the trailer. Yhea elections are over!! No more tv ads and phone calls. I voted. We had such poor choices for governor. I picked that I thought was the less of two evils. cell phone just rang.............it said Japan !!!! I didn't answer. I get that frequently. well the sock game is. you all sit in a circle and everyone has the sock they bought. there like store I think it frosty the snow man and every time it say right you give your sock to the person on your right and say person on your left you give the sock to the person on your left. then someone read the store and at the end of it you get the sock you have. it a cool game never heard of it. Cheryl, I have basic edition but I have a subscription for cuts I get $50 worth of cuts each month for like $12 . They bill my bank acct monthly. Love that. Just put frozen lasagna in the oven, that's about the extent of my domestic skills today. I was back in the hospital over the weekend due to hypotension and just got home on Monday. I am so done. Anyhow, I'm trying to get all caught up here. What does this card swap entail? How is everyone? I'm loving all the new cards and layouts. You all are so talented. Hi! I was off today (I needed to use four vacation days before the end of the year...I put in for them to make a long a weekend but, somehow, it wound up with me just getting four random days on random weeks in November and December) so I spent the day working on my mom's Shutterfly album of our Disney Trip. She says that's all she wants for Christmas this year but she probably won't JUST be getting that album LOL! Cathe- Thorongil has a brand new friend this year thanks to Disney. They've created their own version of "Elf on the Shelf" using one of their characters. Cheryl- He lives with his mom and sister so housing is a situation we need to figure out. Right now, we're not doing anything because it's the holidays and that's hard enough LOL! Terry- My sister's looked into several things for her dog but it never goes far enough that anything gets done for him. She blames her husband for not taking the dog to the vet and he blames her for getting a dog when he wanted a cat. Anna- My mom and sister voted but I didn't. We were all supposed to go before I left for dance but she got home late and I was at dance when they went. 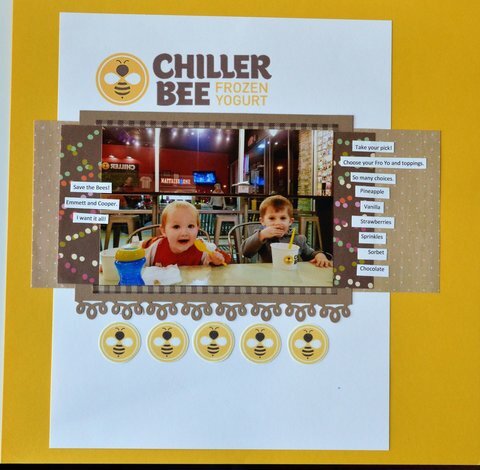 well I am work on some layouts from the retreat I am just doing a few. well it been cold here. 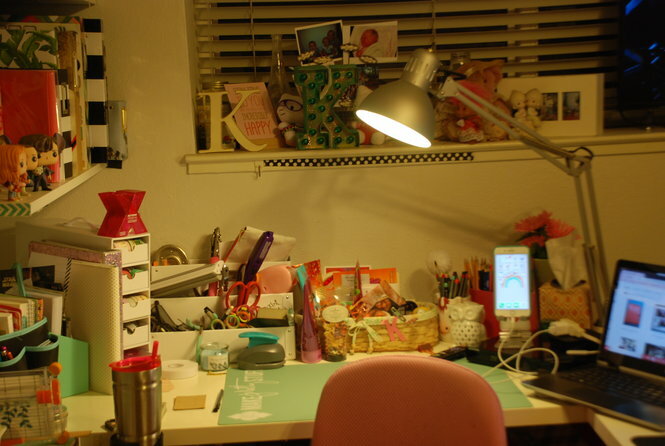 my office area is a mess with all my scrapbook stuff. I need to start work on my mom gift but waite until my husband bring some pallets home. I still need work on my grandma gift and I am make something for my dad. my husband going to help me with the gifts seen some of it is wood working. I finsh my sister and her husband Christmas gift. I am work on a pocket letter for a swap I am in. Danielle- I can hardly wait to see what you make with the pallets. Ashley- that sort of stinks that you couldn't get 4 days in a row. It will be fun seeing Thorongil's new friend. Kimberly-sorry you were in the hospital again. It's always interesting to see other peoples scarp area. I've already made an card this morning. Our DD and SIL's anniversary is Saturday. Our 49th anniversary is today. We will go out to eat tonight. Both of us had beautiful sunny days the day of our weddings. Today's forecast is cold with possible snow tonight. I think DH would like to move. ----not me, unless I can take my BFF, family and friends. Kimberly, so sorry you were back in the hospital. UGH has to really be the pits. Danielle, yes, agree, can't wait to see what you make with the pallets. Cathe, where would DH move to? Away from Illinois? I get your BFF and kids are there, where else is there? 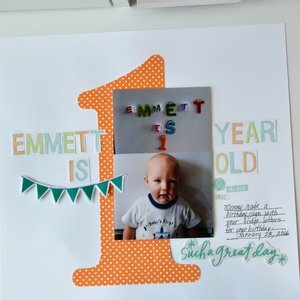 Okay, That is all of Emmett's photo's I have printed out so I am moving on to Cooper. I've a ton of him. I will have to pick and choose memories to scrap. The rest will be in pocket pages. Ci quickly! My BFF's oldest son, Jeff, breazed thru here on his way to Seattle. Spent the night and will be back tonight too. He's like a bear---big and cuddly!! Had us in stitches all night. He's 46 and just a sweetheart. Denise: I'll bbl to leave some "love"
Ashley: a new elf on the shelf? Very cool! Kimberly: Sorry about the hospital. What the card "thing" entails is a swap where everyone makes a xmas card for everyone on the list. So right now it is like I would make 10 cards (inc you) and mail them out. Your choice of design etc so there's no restrictions. And you don't have to make them--you can certainly buy them too. bbl....steve stayed home and wants to clean up the thousands of dead leaves in the yard. Ahhh. Got it, about the Christmas card exchange. With the way things are going I'm going take a step back and just observe. I don't want to commit to something and have to back out due to illness. Right now it's baby steps for me. I'm just happy to be up and going in my craft room today. Terry I got your pm thank you so much for including me in the card swap. I am in . Ashley sorry you were sick but glad you had a blast at disney. Lol if they kicked you out of this group fro missing a month i would never be allowed back in. I went with dd to see the nutcracker movie. I enjoyed it but i have never scene the ballet. I have watched many ballets just not that one. It was a cute movie but not a favorite. dd works at the theater so she takes me to movies a lot now as she gets us in for free. Jeannie congrats on becoming a grandparent soon. Katy i get a ton of trick or treaters as well. I love it. I spend over $100 on candy every year. Lol on the cricut. I packed mine up last year and its somewhere collecting dust. Kimberley sorry to hear you were back in the Hospital. My friends visit was a blast but i had a ton to clean once all those teenagers left. Dh just got to Moscow Idaho to visit our son for the first time since he left. Its fathers weekend. Luckily since its a college town his work gives them all the holiday breaks off. Anna - I start my new job December 3rd. My last night to work on the floor is November 27. Kimberley - Sorry to hear you had to go to the hospital again. Hi! Today was crazy at the lab...I'm not sure if we were short of the staff we had upstairs in the main lab was just not a good mix of people but things were unusually hectic. I shouldn't really complain since I'm hardly ever in the main lab anymore. Tomorrow and next week, I'm back on the third floor lab LOL! I now joke that the analyzers on the third floor get lonely without me down there to keep them company since I'm down there so often. I probably shouldn't complain about there either though...at least that lab has windows! Cathe- Happy Anniversary! My parents no longer celebrate their anniversary and can't even agree on how many years they've been married. Terry- Disney's gotten into the Elf on the Shelf business...except it's not an elf....it's not even close to something that's an elf but it'll be joining Thorongil this holiday season LOL! Kimberly- Hope you start to feel better soon! we had a bit of wet, heavy snow last night. It's very pretty, but it can melt now. .........and will. Denise- I enjoyed all your new LOs. If the sun ever comes out I'll photograph my latest. I couldn't leave friends and family. Besides, Illinois can't tax my pension, although I'm sure they will try. They would have to change the constitution. I'm going to go walk at the mall. So I best be going. I have to get pic of my Christmas book upload here. well today walk the dogs and go to the gym later on. I have to take a pic of what I made for my sister and her husband. I am want to buy another roll cart at Michela's maybe I go do that tomorrow seen we have to go into town. I need to start working on my projects for Christmas but I am Waite for my husband seen he going to help me. 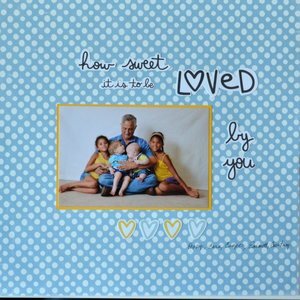 with the pallets I am going to make a cute picture frame for my mom that way she can put pic of the grandkids. I take pic of the gifts I make. Kimberly, so sorry you have been back in the hospital. I do hope you are on the mend. Cheryl, you still have a few weeks to work nights. Think you will miss it? Great layouts Denise! Love that soccer lo. 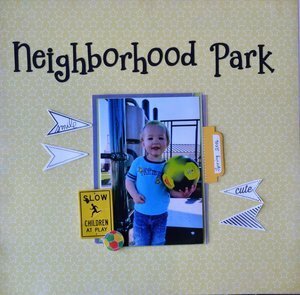 I'm partial to soccer layouts since DD played soccer. Anna - No, I don’t think I will miss it. I am ready to sleep normal again. I hope to be in my scrap room tonight. I left the house this morning and returned at 3:00. I had to pump gas. It was and is so cold and windy. We aren't going to the Legion for fish. 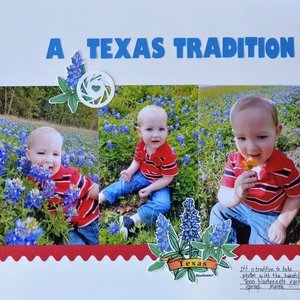 I've been working on the 8x8 scrapbook for the great-great nephew's baby book. I was doing great but then hit a road block. Danielle- the frame sounds cool. Our DD Casey played high school soccer and club soccer all through high school. Rum wanted her to play in college but she was ready to hang it up. By then she had a knee problem. Hi there. Late ci today as Jeff, BFF's son, came by last night after his interview for a job 5 hours north of us. So in 2 1/2 days he's driven close to 800 miles for this. He's so dang funny I can't stop giggling! It is cold cold cold here. Just 49 deg but the humidity is going right to the bone. Soup & grilled cheese for supper. Tomorrow will be date night. Andrea: I was pretty certain you would want to swap cards so I'm glad you'll be in. Anna: I plan to have a fun weekend---but I am not sure what I'll do to accomplish it! Ashley: can't wait to see Thorongil's new friend! Feeling better? Cathe: I was just looking at what states tax income as Steve brought up moving again. It seems there are 7, almost 8, states that do not have income tax. And several more ---15?--- that won't tax social security or pensions. One is Oregon & the other Idaho, which are places we've considered moving to. Cheryl: I can see why you won't miss night shifts. I'm a night owl and I think sometimes that is when I should work. Denise: great LOs. I love the one with your hubby & the kids! Kimberly--that's fine if you don't feel you can participate. Totally understandable. Hi! It's very icky, cold, and rainy here tonight! The rain started around 3:30 and just got worse from there. We didn't have a lot of kids at Scouts tonight because of the weather. But better rain than snow since snow especially since I have to work the weekend LOL! I was glad I worked the 7:30-3:30 shift since I didn't have to run to Scouts like I'd been the past two Fridays (since I was working 10-6 shift) but my partners today were AWFUL! They kept leaving me all the work to do! Cathe- Ick on the snow! I am not emotionally prepared to have to think of snow! Terry- I'm feeling better yeah. I have to get to Michaels to get supplies for Thorongil's album...his new friend has an unusually high badness level! It's only 15 degrees here. We are WAY below normal. It will make for a long winter. Terry- I really can't imagine moving. I couldn't leave my bff, family and friends. Hope you figure out your fun for today. Ashley- It's upsetting that your partners don't hold up their end, but I bet it makes the day go quickly. How many girls do you and your mom have in your troupe? Today is Rayn's High School Musical play. I'll report back on it tomorrow. I'm sure it will be darling. She's a Freshman in High School already. So she's not in big numbers where you can hardly see your Grandkid. She's a cheerleader in this play. In "Annie" she was a Rockett. She was so pretty. We have a shoe repair business downtown. It's an icon. Have a great day everyone. I won't be back later. I have to take Oakley and Kian home after the play. Casey is working the 6:00 performance. Sonny is out of town. Maybe he'll beat her home. Good morning!! 25 and feels like 15 this morning. I hate cold weather!! It was 60:just 3 days ago and today will struggle to get out of the upper 30s. 😡😡😡 I want to get out and go shop at my favorite boutique as they are having a holiday open house BUT I might just stay in my warm house and scrap. Cold here too. And very windy. I agree, Cathe, it is going to be a long winter. Cheryl, I know you will enjoy having a normal sleeping pattern again. I would love to move and we talk about it often. But neither of us feel we can leave the parentals. 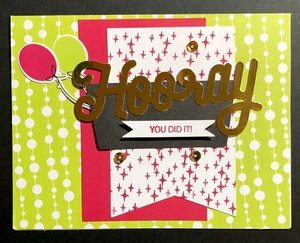 Dropping off a card for the Happy Mail Challenge. TFL! 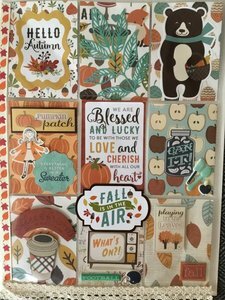 Here is a pocket letter I made for a swap on sb.com The theme was Fall and things you love about it. It was and is cold here but only in the low 50s. Its official--hubby resigned his VP position in the national dog club and that means that we don't have to work the national event in June in Butte MT. This is a different national club from the one I work the store for. Heartbreaking to him but he stood his ground and his principals. I do have one project planned for the next couple weeks---I'm making gnomes! I don't know why just that they tickle my funny bone. Hope y'all have a fun Saturday!! PS---Danielle: I had a friend post a very cool item and I thought about you and your gift making. You take mason jar lids and by some means, either a very small drilled hole or glue, attach a string or ribbon with a tiny Christmas tree bulb to it. Then glue all the lids together to form a tree. Its a "wreath" for the front door. Its been a long week. Dh will finally be home tomorrow night. He gets to spend the whole day with ds today. It is very cold her last night was 18 degrees. Im still bundling up and going for walks but I dont see it lasting to much longer. I was trying to get on here from my ipad but couldn't..it didn'tlike either email addy or my password so I am on the computer..I would prefer my ipad up in the Jeannie cave..watching Hallmark Xmas movies...drinking chai latte. Congratulations Ashley!! Do you have a date set? I am thinking if your sister wasn't too grouchy in Disney (who could be?) maybe she needs to move there or at least away from NYC. We got a wackadoodle governor here in Nevada..part of the reason we moved from California was because of their wackadoodle governor...now they have a wackier one...lol. not happy. Jeannie - Oh no on the governor!!! Church, lunch out and the babysitting is my day today. Hope everyone has a wonderful day. Came home with some pretty goodies and a couple weird unique ones. I like unusual, makes them special. Different from.what everyone else has. Thanks for the layout love. I was thinking hexagons for the soccer page so I went looking and saw the LO I lifted and thought yep that is exactly what I had in mind. I already had the hexagon cutfile open on my silhouette and the green grass paper sitting on my workspace. It was perfect so it happened. Its unseasonably cold here, 50 today and Tuesday a freeze and 44 for the high. It was 90 Monday and my poor watermelons are gonna freeze before they can finish growing. Sad. Need to pick the peppers and the okra. Already did the big watermelon. Love ya friends, please take care of yourselves and Gid Bless. Morning---very thick frost here and a wind coming off the tops of the mountains so you know its cold! Will keeping the process going today as well as some football, mowing leaves up, and drinking coffee! Denise: I would have loved to go with you to that show! Photos???? cathe- hope you got my message that tell the story about the sock game. it was fun when we did it at the retreat. Terry, only photo I took was a cell phone photo of the entrance I put on FB. Was too busy trying to decide what specimens to get and it was so crowded. blech hate crowds. If you love bling and jewelry you would love this show, LOTS of pretty gem pieces and gems and wire wrapped stones. Danielle - Which type rolling cart did you get? I have several. 2 of them have wire baskets that slide in and out. The other one is a 3 tier cart To just lay things in. It is pink. Hi! 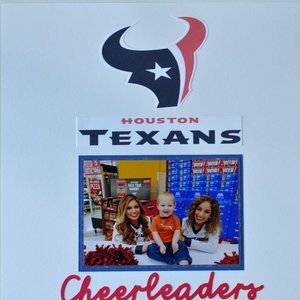 Worked this weekend and I had the same partner both days...she was more interested in doing random arts and crafts projects than actually doing work. I don't know how I wind up with all the crazy partners LOL! Next week, I'm back on the third floor because....at this point, I have no idea...I'm just down there a lot. If that's not fixed in the new year, I'm going to talk to our supervisor. I feel like I'm never in the main lab anymore. Cathe- We have about 80 girls in total in our troop...they range from Pre-K to 12th grade. Cheryl- It's cold here and someone even mentioned snow on Thursday. I almost threw the tech who said that out the 8th floor window today! Terry- Gnomes?! That sounds awesome! How are you making them???? Denise- A mineral show? That sounds so cool! Were there any cosplayers? Jeannie- No...no date or anything set yet. I decided not to do any planning until after the holidays because I have to work both Thanksgiving and Christmas and that's just killed the holidays for me and upped my stress levels about them.